*We were sent our footwear by Bogs for the purposes of this feature, however, as always, all thoughts and opinions expressed are 100% my own. 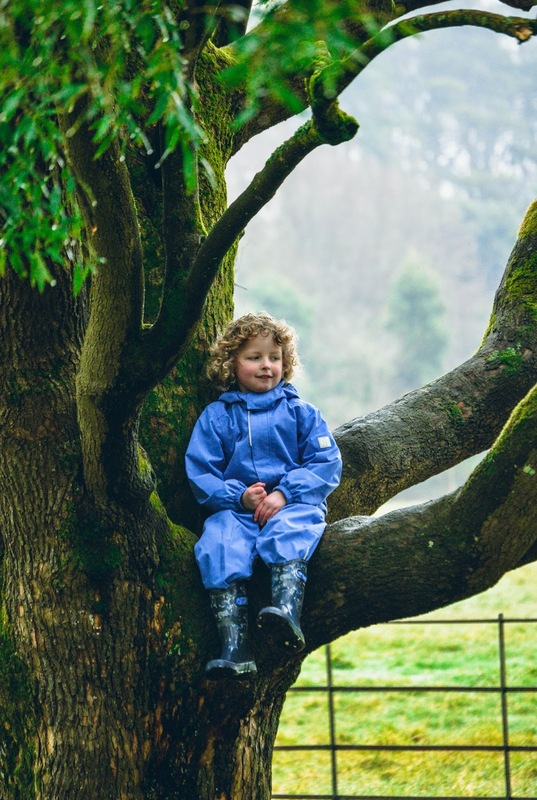 Childhood was just made for jumping in muddy, splashy puddles, climbing and wandering amongst trees, squelching through muddy, flower dotted grasses and having lots of laughs and happy times with your brother. My boys love being outside, they'd be waiting at the door for me to open it, waiting for their opportunity to dash outside - the eldest wanting to cycle his bike (a new found love of his) and the youngest to go circling our cars (he lives for cars). 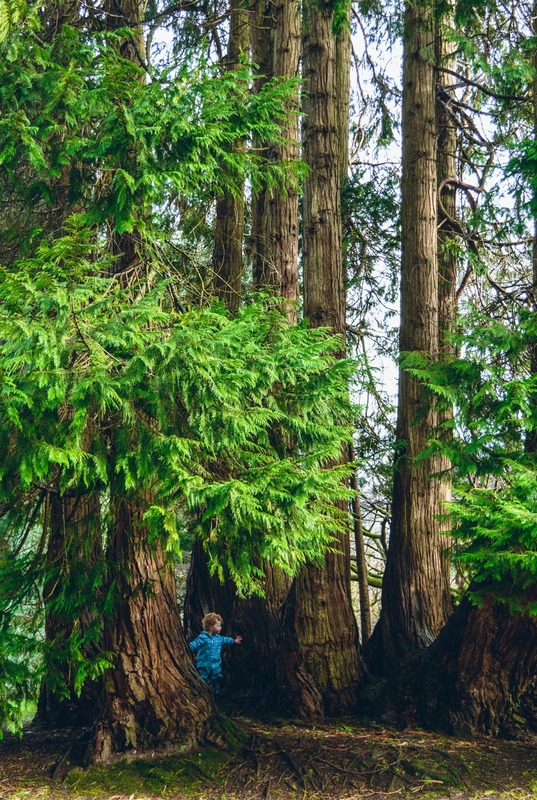 I'm a big believer in the cause that children need lots of fresh air. I hate having my boys just sitting inside watching television, so I try to take them out and about as much as possible. 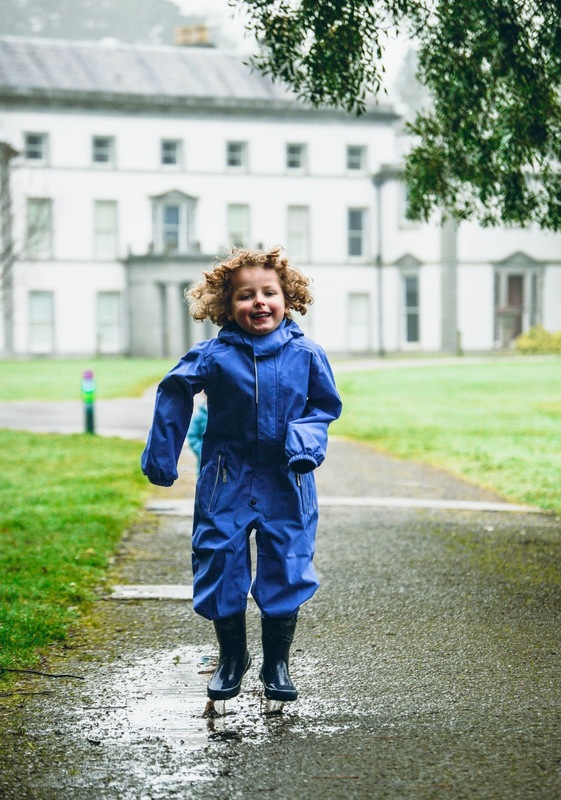 However, living in Ireland, our outdoor adventures can leave them soaked to the skin and covered head to toe in mud. This makes for tons of washing and a very filthy car, let me tell you! Thankfully though, the boys are now proud owners of all-in-one suits from Finnish brand Reima, who I featured in this post about our first ever snow day. The boys were also very kindly sent some fabulous wellies from BOGS, an American brand who make the most comfortable and stylish footwear for men, women and kids. These are Beau's first ever pair of wellies, so they're quite special to us and they couldn't be more adorable with their woodland print - perfect for a little boy who loves wandering through the fairy woods. Tyler has owned a fair amount of wellies in his five short years, but these rain boots from BOGS are by far the best. They're proper 'outdoor' wellies, if that makes sense. 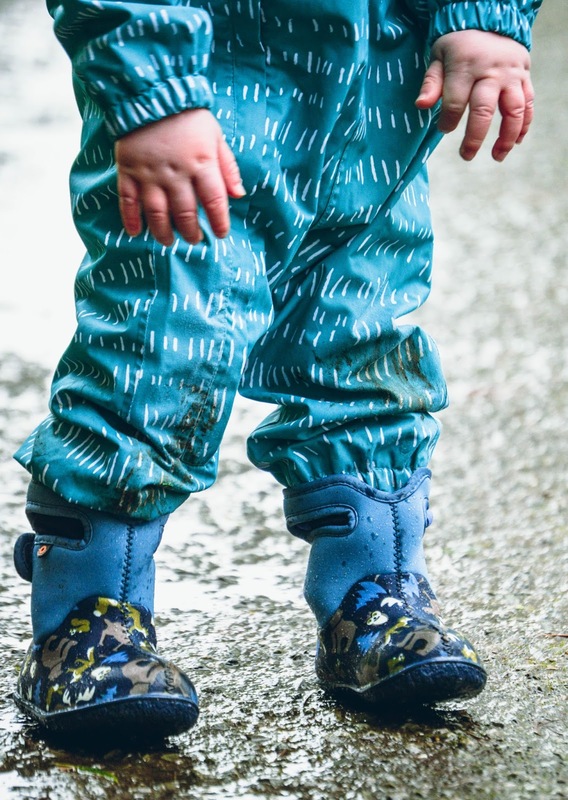 They're sturdy for different terrains, they've kept his feet completely dry even though he's waded through very deep, muddy puddles and the best part yet - he loves wearing them. He just pulls them on himself, thanks to the handy side handles, and runs outside and he couldn't be happier. 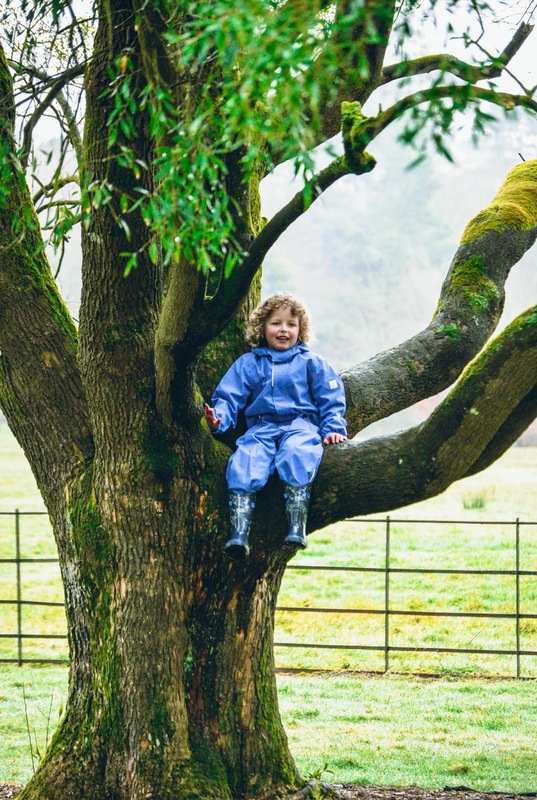 He's taken his new wellies up trees, through the deepest puddles ever, the muddiest grass and even rides his bike with them on - a sure sign of how comfortable they must be for him. Wellies are a staple item in our house and I even have my own pair from BOGS too, the Classic Pansies, which are so pretty and so comfortable. They saw me through the unexpected snowfall we had and are now kept in the car boot for me to pop on when we're out adventuring. I'm happy that the boys are now dry, clean and warm after all their outdoor adventuring. 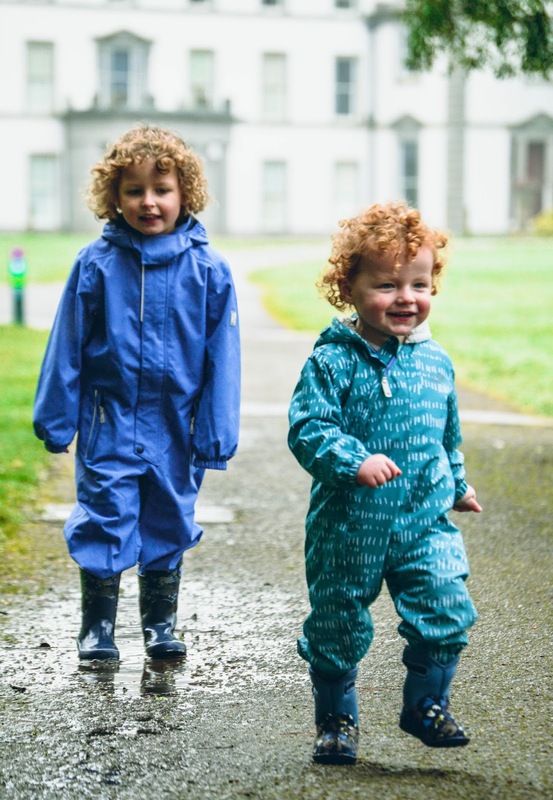 It's so lovely to see them embracing nature and wanting to be outside and they look absolutely adorable in their coveralls and wellies. BOGS have a wide range of footwear available for men, women, kids and babies, so if you're also a family of outdoor lovers and are in need of comfortable, sturdy and mud and puddle protecting footwear, I highly recommend BOGS. 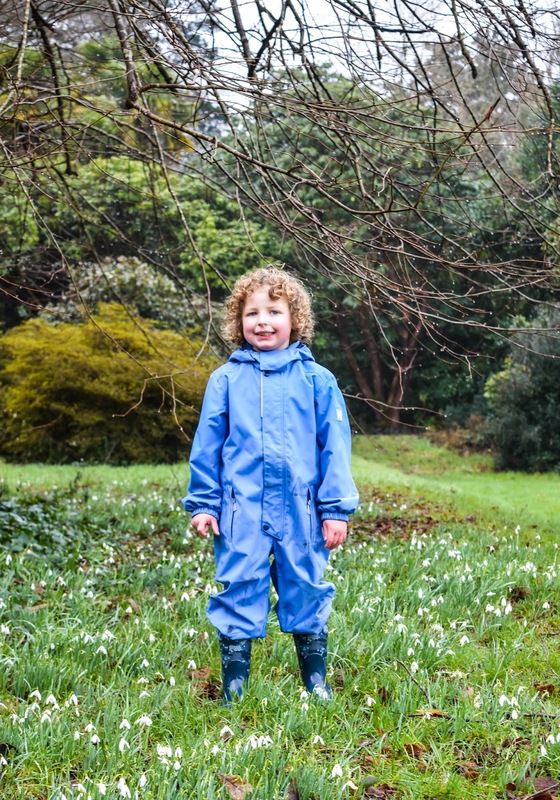 I've been so impressed with our new wellies and the boys couldn't be happier with them too - as you can see from Tyler's big smile amongst the muddy grass and snowdrops. Your children look adorable in their rain gear and boots. Getting them outside to play in any weather is important and fun. They look like they are having fun. Bogs look absolutely comfortable for the kiddos, which would be my number one priority. I've actually been looking for wellies for myself, so I like the fact that they make them for the whole family. BOGS looks really durable for the outdoors and would definitely keep the kids protected. It's really best for them to enjoy the outdoors as long as they are aptly protected. Those rainwear pieces are just terrific! I remember when my boys were small how everything seemed to get wet even when they weren't trying, these would have been great! Too cute! I just love the rainboots. My daughter LOVES to be outside when it rains, so she needs a pair. I'll be sure to check out the site! Awe, I love your sons' hair, they are gorgeous! I can remember visiting your blog and you only have one, now your joy doubles! They look adorable and perfectly dry for the wet weather! We have switched here from snow to rain and I was just thinking that I need to put my kids snow stuff away and see how their rain gear fits them this year. OMG this is just about the most adorable dose of cuteness I've seen in ages. I remember when my kids wore their rainboots everywhere. Yes, I birthed those toddlers you'd see at Walmart with shorts and rainboots. I have to look into to this site. It looks like they have wonderful items for the entire family. I love the rainboots and I always wanted a pair growing up. As a child, I always loved wading through the water as it ran down the street after it rained. Then when I was old enough to ride my bike in the street. Riding through the puddles was even better. I am hearing so much about these. It feels like it may be time to make an investment in a pair or two in my home too! The rain boots from Bogs look really elegant and rugged at the same time. Your kids look cute in them and also seem to be comfortable in their new shoes. Such adorable boots! 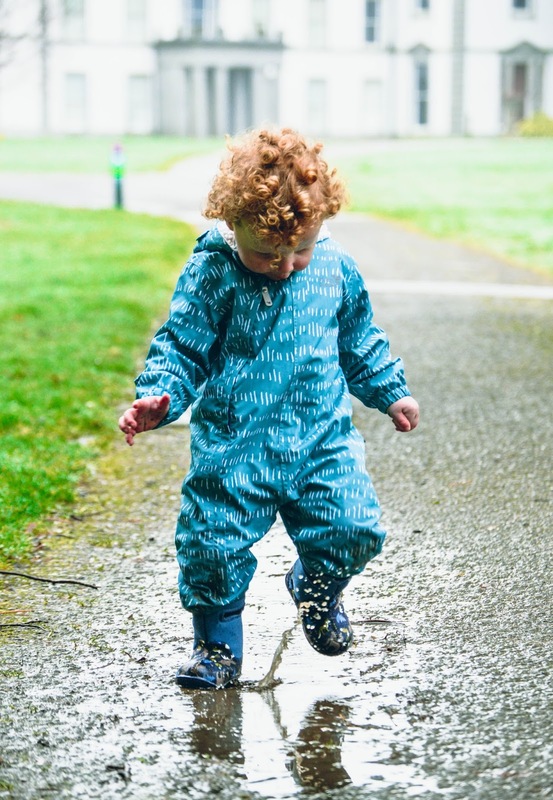 Good rain boots are a must around here, my kids love to go puddle jumping just for fun! Love the whole outfit, so adorable! My kids love wading through the water, too bad, we don't have much rain in San Diego.